The Department of Defence is in hot water for refusing to have the Naval Shipbuilding Advisory Board appear before the inquiry into the Future of Australia's naval shipbuilding industry, a move that some senators have labelled as a deliberate obstruction of the Senate. In the lead-up to the Senate economics committee releasing the correspondence of Defence’s refusal, Defence has now agreed to have one member appear before the committee at the next hearing. The correspondence shows Defence rejected the invitation for the board to appear before the hearing scheduled for 2 May, which has now been postponed. The correspondence also shows that on 28 March 2018, the committee invited the board to appear at a hearing in May 2018. Defence declined the request on 11 April. On 16 April the committee responded to Defence insisting they attend and that they respond to the committee by 23 April. Defence did not respond to the request. The board, which is chaired by Professor Donald Winter, was heralded by Minister for Defence Industry Christopher Pyne as "an important milestone in the government's naval shipbuilding strategy" in 2016. "The advisory board is representative of Australian and international expertise and will be a valuable asset in supporting the government’s plans for a secure, sustainable, long-term future for the Australian naval shipbuilding industry," Minister Pyne said in December 2016. Labor Senator Kim Carr slammed the delay from the government and has questioned why the board, which has received over $2.8 million in payments from the taxpayer, has continuously avoided the inquiry. 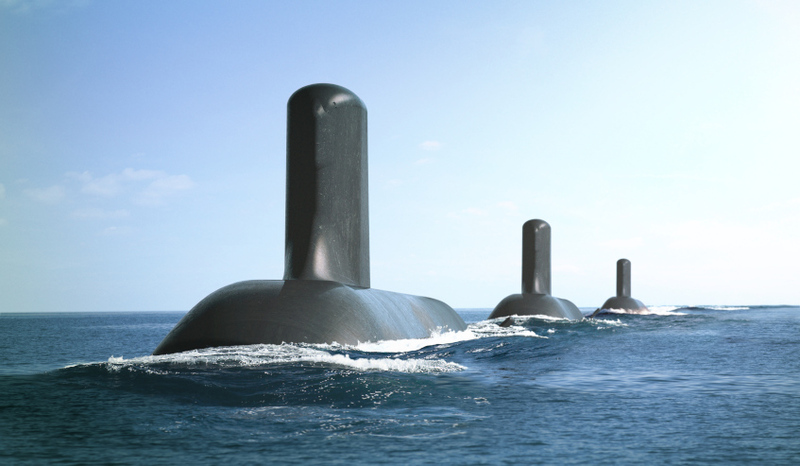 “It is a significant cause for concern that the hearing tomorrow has now been postponed due to the government’s repeated refusal to let the Naval Shipbuilding Advisory Board attend the Senate inquiry,” Senator Carr told Defence Connect. “These are experienced consultants who are being paid extremely well to provide advice to various levels of government, but who have sought to avoid the scrutiny of the Senate on three occasions. What have they got to hide? Centre Alliance Senator Rex Patrick, a former submariner and defence contractor, has warned the Secretary of Defence and First Assistant Secretary may be referred to the Privileges Committee for contempt. "The attendance of members of the board is obviously relevant to the Senate inquiry into the future of naval shipbuilding. It is extraordinary, and unacceptable, that Defence should wish to deny the committee the benefit of its advice and insights," said Senator Patrick. “In the hours leading up to the correspondence being published, Defence has blinked and verbally advised the committee that at least one member of the board will appear at the next hearing. "Nonetheless, I am giving strong consideration to referring Secretary of Defence Greg Moriarty and First Assistant Secretary John Geering to the Privileges Committee for contempt. Causing a committee to postpone its work comes very close to the textbook definition of improper interference with the free exercise by the Senate of its inquiry power. This is not the first time such an issue has happened within Defence. In February 2016, Defence refused the attendance of a departmental economist, Dr Bourke, at senate estimates. After a summons was issued by the Senate on 11 February, a spillover hearing of the Foreign Affairs, Defence and Trade (FADT) Legislation Committee was held on 3 March 2016 with Dr Bourke in attendance. In May 2017, Defence again refused to allow an officer from the Department to appear before the FADT committee at estimates. The officer had signed off on a one month consultancy contract for $75,000 and was to be questioned on the value-for-money considerations made prior to authorising the contract. Defence backed down after a motion to summons was lodged in the Senate on 10 May 2017. "This is the third time in as many years that Defence has deliberately obstructed the Senate in its duties and the matter needs to be brought to a head and resolved," the Centre Alliance senator said. "Enough is enough. While I appreciate that the Senate must exercise its powers with care and responsibility, there are circumstances when not exercising a power is irresponsible." The board is made up of strategic cyber security adviser and consultant Mike Burgess, former US assistant secretary of Labor for Employment and Training Emily DeRocco, former chief engineer of US Naval Sea Systems Command and program manager for both Seawolf and Virginia class programs Rear Admiral Thomas Eccles, former president of Ingalls shipbuilding Irwin Edenzon, chief executive of Finlay Consulting Ronald Finlay, former US Naval Sea Systems Commander Vice Admiral William Hilarides, former Department of Education and Training Lisa Paul, former vice president of submarines and fleet support at Newport News Shipbuilding Becky Stewart and former Naval Sea Systems Commander Vice Admiral Paul Sullivan.